In this second part of the tutorial I’m going to show you how to minimize the time you spend to create a new WordPress theme or plugin using Marv. In case you missed the first part, you can read it here. 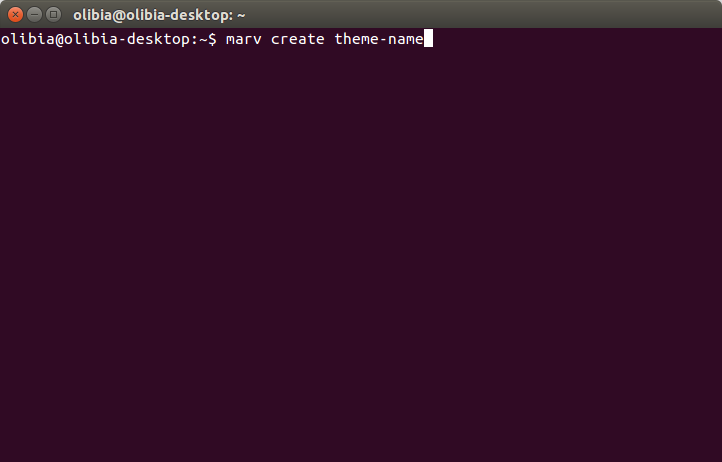 Marv create command will create a scaffold project, containing all the files you need to start developing. Before it does so, you will be asked for the new project details and if you want to use a local layout. Local layouts are project scaffolds located in ~/.marv/layouts. 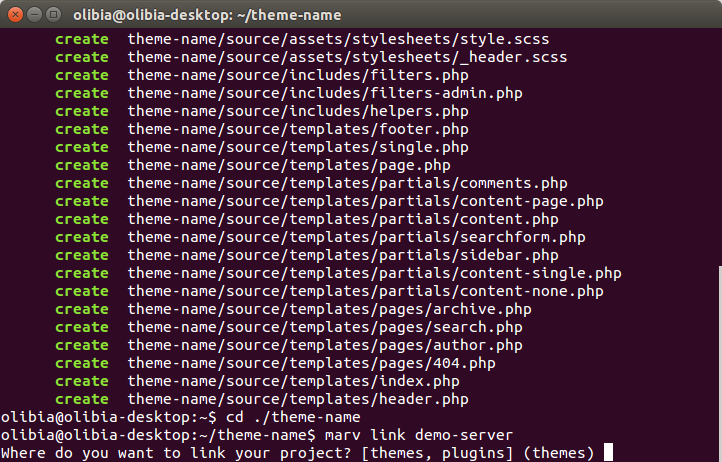 You can place your own templates in that directory and choose between them every time you create a new project. To create a local layout, you can use the default layout as your guide, because you will need some ruby code for the project details. You can download the basic layout source here. In case you do not have any local layouts and type n you will be asked if you are creating theme or plugin. 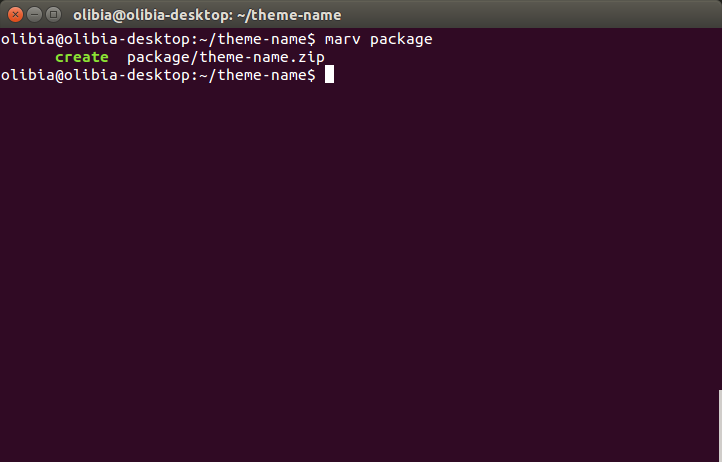 Depending on your choice Marv will create a folder that contains the right files for a theme or plugin. All projects contain a ruby configuration file in which you can enable assets compression and livereload, specify additional assets you want Marv to watch and build, and require other gems like Bourbon, Bootstrap or Foundation. Now that your project is created, you probably want to install it in your local server. 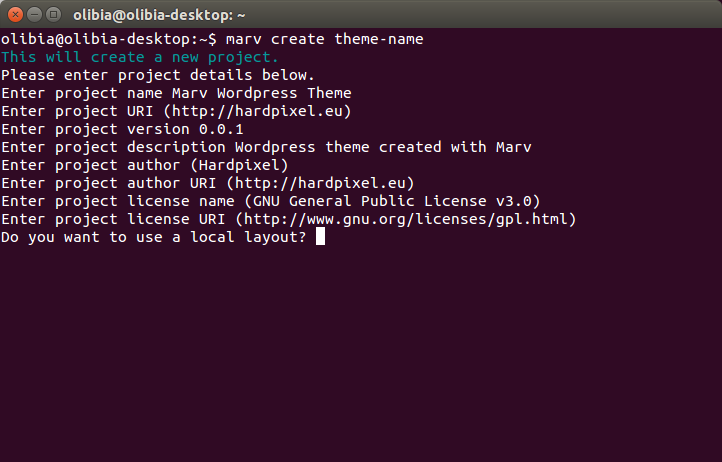 Marv gives you the option to link a project to a Marv server or a directory. Using both methods to link a project, Marv will ask whether the project is a theme or plugin, to create a symbolic link in the right directory. Note that you have to activate your project in your WordPress installation. 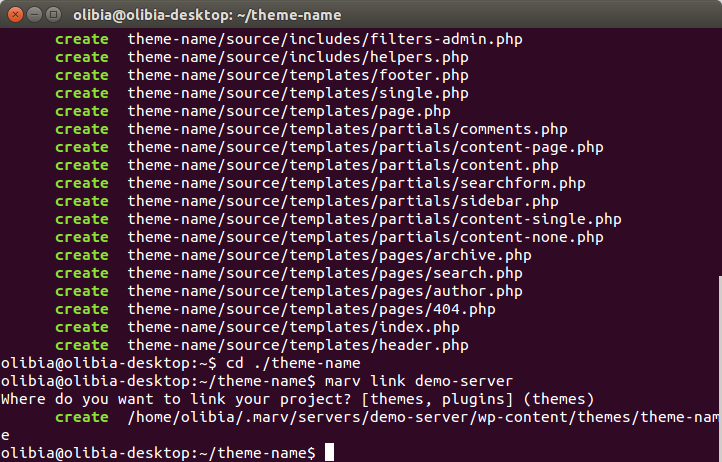 This will again ask whether this is a theme or plugin, but will instead create a symbolic link of the project in ~/.marv/themes or ~/.marv/plugins, so that it is globally available. This command will start watching all the files for changes, notify you for Sass or CoffeeScript errors and trigger your browser to reload, every time you save a file. 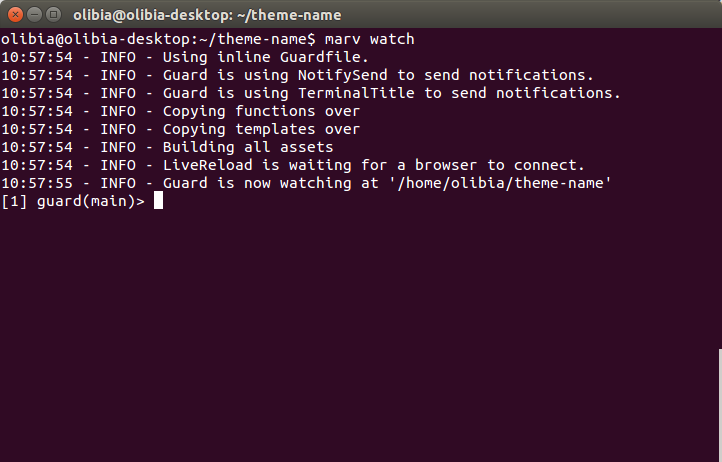 Note that you must install the browser extension and enable livereload in the configuration file for that to work. This will compile css and js files, and place all the files the way WordPress needs them, in the build directory of your project. 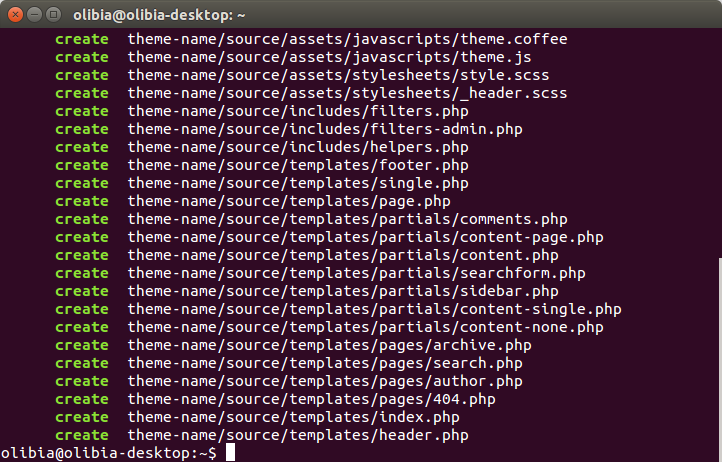 Will also create the directory if it does not exist. 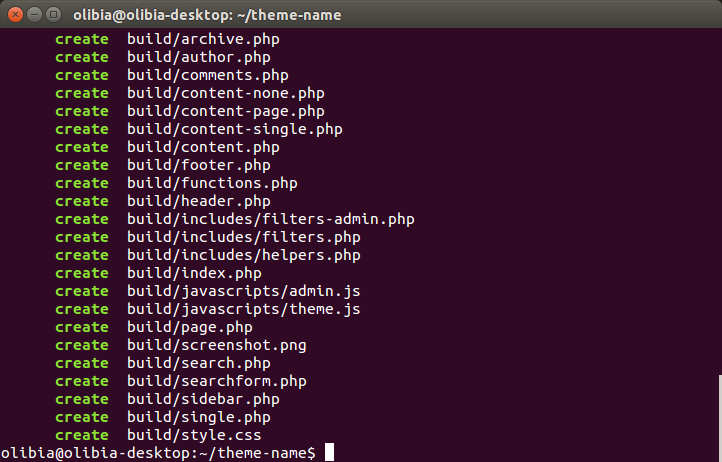 Compiles your project and zips it to the package directory of your project. In order to start using Marv on existing projects, you can simply create a new project, enter the details that match the existing project, and replace the contents of the source directory with the files you have already created. Marv has no limitations about a project’s file structure, the opposite. You are free organize them the way you want. For a detailed explanation of what is possible using Marv, you can visit this page, which contains examples for the assets and templates file structure, how to include files or entire directories and more. This is the end of this tutorial, I hope you found some useful information about WordPress development using Marv. You can contribute by letting me know your thoughts or give feedback about Marv on Github, where you can submit issues and feature requests. If you have created projects using Marv, I’d be happy to see the results and mention them on Marv’s new website which is under development. A Ruby fan and Open Source supporter. Started working as a designer and became a developer a few years ago. Interested in iconography, photography, typography and digital illustration. You can surf the Websites anonymously and access important information without revealing your identity. However, in order to provide a better service, we use “cookies” to measure your visits to our Websites, which make it easier for you to log on during future visits. A cookie is a small text file that our Websites store on your web browser and can later retrieve. These allow us to distinguish you from other users of the Websites, however this information does not allow us to identify you personally and you remain anonymous unless you have otherwise provided us with Personal Information. We also use ‘analytical’ cookies (including Google Analytics) which allow us to recognise and count the number of visitors to our Websites and see how visitors move around the Websites. This helps us to improve the way our Website works, for example, by ensuring that visitors can easily find what they need, and by telling us what features of the Websites are most popular. If you choose not to delete and/or block cookies from the Website, and continue to use the Website, you are thereby consenting to our use of such cookies.